If “tee time” involves a bag of clubs for your pop, ask your florist if they have anything special for golf fanatics. Chances are they do. Golf inspired creations can be as simple as a design that works in some new tees to adding some fun color to a bucket of golf balls. This reminder at the office will immediately take dad right to that 18th hole. Your dad is no nonsense. He works long hours, and likes things to be functional. A live plant is the perfect additions to his desk at home or in the office. 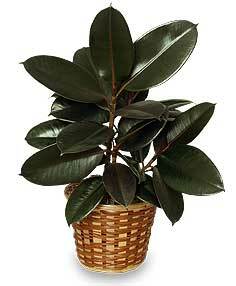 Not only does it purify the air, but studies show caring for houseplants can help counteract stress! This gift will become a friend and focal point during tough days that always find a hard-working father. Laid back and relaxed in his Aloha shirt, your daddy-o loves to chill. Then make the setting complete with some birds of paradise! These are the perfect flowers to launch his daydreams of ukuleles and hula girls. He’ll be so happy he might forget you made fun of his socks and sandals combo. Take some photos to a florist and they can build a handsome arrangement around great snapshots of you, your siblings, and kids. A fantastic group gift for dad and grandpa! Just think, he will finally be able to replace that shot of you from 3rd grade he keeps in his wallet. Pick your strategy and order today! Sending flowers for Father’s Day is a great gift game plan. By taking the time to incorporate his interests, you’ll score big points with dad. He’ll be relieved not to have to add another tie to the rack and happy to know how much you care. 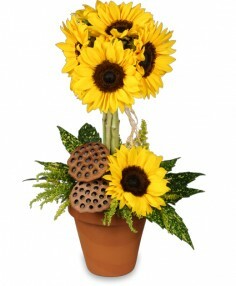 Always use a real local florist so you can be sure that your gift will be exactly what you were looking for!